When Voodoo PC came under HP's umbrella a few years back, we began to see all sorts of interesting collaborations: The Blackbird desktop and the HP Voodoo Envy 133, with its sleek laptop looks, garnered second glances from lustful nerds. Now, the Voodoo brand name falls by the wayside as HP adopts the Envy moniker for this superstylish, silvery line. 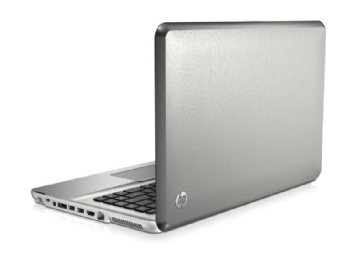 Were it not for the funky divot-pocked frame (HP calls it a Muse metal etching design), I'd swear that HP was trying to get as close to replicating a MacBook Pro is it could without stamping an Apple logo on the classy aluminum chassis. In fact, the Envy's rounded edges make it a more compelling competitor than the Adamo, Dell's first attempt to ape Apple. Let's take a closer peek at the high end of HP's consumer laptops. 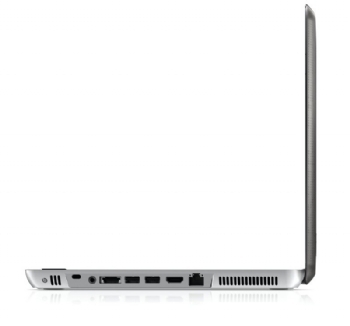 The 13.1-inch model, not surprisingly, is called the Envy 13. In the brief encounter I had with this model while working in an office suite, its 1366-by-768-pixel screen looked sharp — but I didn't have a chance to subject it to PC World's usual image-quality tests, so this is merely an initial impression. The US$1699 Envy 13 packs a fair amount of juice under its lid. HP complements the laptop's 1.86GHz Intel Core 2 Duo SL9400 CPU with 3GB of RAM (and includes an extra DIMM slot), plus a surprisingly solid 512MB ATI Mobility Radeon HD 4330 GPU. Onboard technology smartly throttles the GPU and downshifts to the integrated Intel GPU for low-end tasks (thereby extending the machine's battery life). A 250GB hard drive nestles inside the slim 12.6-by-8.5-by-0.8-inch frame, and the machine comes standard with an external 8X DVD-RW drive (you can upgrade to a BD-ROM for an extra fee, of course). The standard configuration generously provides two batteries: a standard four-cell battery and a thin six-cell slice that sits underneath. Clearly, this is a big jump forward from the previous Envy, which cost more and offered much less. We'll have to wait to see how it runs on our WorldBench 6 test suite, but it certainly seems loaded with enough power to handle the 64-bit version of Windows 7. The keyboard and mouse look sleek and reasonably comfortable. They get backed up by a series of quick-access multimedia buttons and an Instant On feature for launching into Web browsing and multimedia file playing. The machine still manages to set aside room for two USB ports, 802.11n, optional Bluetooth, HDMI-out, and a combination headphone/microphone jack (a cell phone headset will work here). By the way, the port layout pictured here is for the Envy 15. Unfortunately, all of the ports are jammed together on one side of the laptop. Add one odd-size dongle, and neighboring ports may get blocked. HP's rep assured me that the Beats system will deliver awesome audio. How does it sound? Beats me — the drivers weren't ready, and the crowded room wasn't conducive to a proper audio demo anyway. Look for a test-based assessment of the audio subsystem in our final review of the Envy 13. 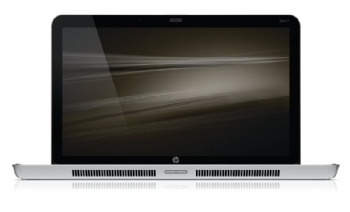 As for the Envy 15, HP is hesitant to release many details about the model prior to the Intel Developer's Forum next week, but the company says that the 15-inch model weighs just 5.18 pounds, measures 1 inch thick, and will squeeze in a "Future Intel Core i7 Processor," up to 16GB of DDR3 RAM, and a 1GB discrete ATI Mobility Radeon HD 4830. Considering the laptop's US$1799 starting price, it's certainly worth a second look. According to Rob Bergqvist, Team Leader, Mobile Group, Personal Systems Group, HP Australia details on which of the new products will be available in Australia, as well as local pricing and specifications, will be announced in mid-October. “HP’s new Australian range will include thin, full-performance notebook PCs, as well as stylish consumer and SMB notebooks that deliver an optimal balance of mobility and functionality,” said Mr Bergqvist. We're on the case and plan to put together full reviews when the units show up at our PC World Test Centre.